PP form is structurally similar to basic PE foam, but is used to store and ship items that must remain stationary. This dunnage and cushioning foam possesses a higher friction coefficient than basic PE foam, which eliminates content sliding and scratching. 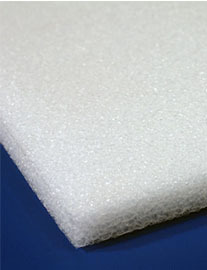 PP foam also offers added temperature resistance, maintaining performance in temperatures exceeding 100 degrees Fahrenheit higher than at which PE foam fails. As with all foam goods, PP foam dunnage, cushioning and other products are custom die cut to order. Cutting Edge’s engineering team will work with customers to design the most appropriate, cost-effective PP foam shipping or storage solution. Call (419) 720-3343 to learn more.